Bought this double stroller for my twin grandchildren. This stroller is easy to maneuver. Great for taking walks on dirt paths. Love the individual hoods that can be positioned to keep the sun off the children.Folds easily. Love that it can fit through store doors. Love this stroller. Adore this stroller! I like to get out and about and walk walk walk with my kiddos! This stroller is SO easy to put together when you get it (takes seconds.) It is SO easy to fold down and to pop up! It is so easy to move around.. I was trying to decide between this one and a Bob duallie running stroller but the honest truth is 1, the Bob looks big and is a bit heavier and bulkier to get in and out of my SUV. AND this one just feels good to push and looks cool. I love our running stroller that we have- but I don't actually run with my kids so my husband has that in his car for long runs and I keep the Citi in mine. Really happy with my purchase. I agonized over what double stroller to get for my whole second pregnancy. This is the stroller I ended up getting and I am so glad I did. My baby is three months old now and this stroller has worked so well for her and my three year old. They are both comfortable, it is a dream to push, the basket underneath is plenty big, and I haven't found a door too narrow for it yet. It even fits in doctor's offices and the line at Chick fil a (my 3 year old broke his leg so I was seriously taking this thing EVERYWHERE). I was worried because my car seat is not compatible with this stroller, but I haven't missed that feature at all. When reclined it worked perfectly with a padded infant insert from the time my daughter was a newborn. Great stroller. Fits in doorways. Great for tall toddlers. Arrived quickly and I can't wait to start using it! I was so pleased when I received this stroller from Albee Baby. It arrived quickly and I am looking forward to using it when my second child arrives. 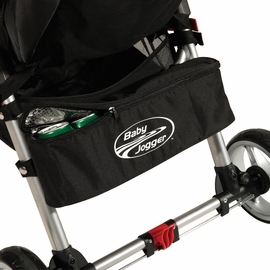 We already had the Baby Jogger 2014 City Mini GT Single stroller and this one is just as great. The only thing that I would change would be the size of the storage. 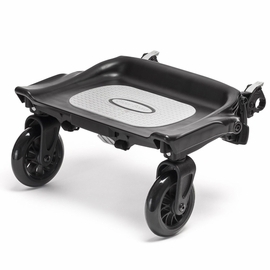 However, the ease of folding beats out many other strollers. This stroller will be able to stay with our family for years. 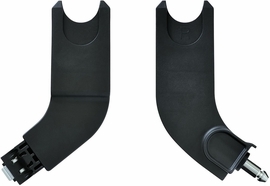 ProsIt easily fits through doors and folds very easily. Received my brand new Citi Mini GT and am in love! Beautiful color, awesome push and best fold! Can't wait to use it! 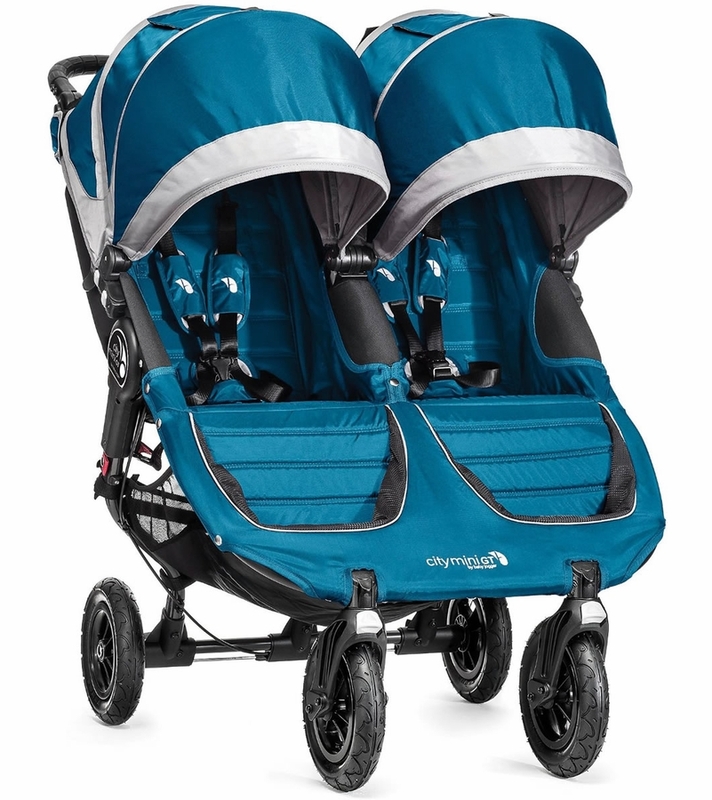 We love this double stroller! We had an older one for 2 years before purchasing a new one. It is hard to find a double stroller that will even fit an older child (our 5 year old will ride in it) comfortably. It fits through standard doors, that has never been a problem. The kids also can easily get in and out easily and their view is not blocked like a front-to-back stroller. The GT tires and fabric hold up so well and push easily. Highly recommend this stroller and company! I bought an older version of the City Mini Double second hand. It looks like it's had at least 3-4 years of wear and tear already, but it still works awesomely for my twins. Just recently though one of the front wheels broke and came off the stroller. This made sense to me because it's older. I assumed it would start breaking down eventually. I called their customer service and explained my situation. Baby Jogger sent me a new wheel free of charge. This is despite the fact that I wasn't the original purchaser of the stroller and no longer had any kind of warranty. I'm so happy to still be using the stroller! 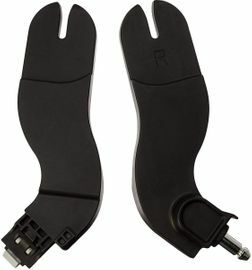 I'm very disappointed the City Mini GT Double is not compatible with the Chicco KeyFit 30 infant car seat. I love my City Mini GT (Single) & have been using it for the past 20 months. 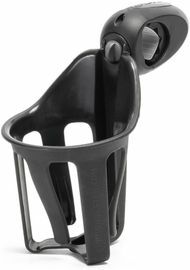 I recently purchased the City Mini GT Double to accommodate our 20-month old & newborn; however, I can't use it because there is no adapter available for my car seat. 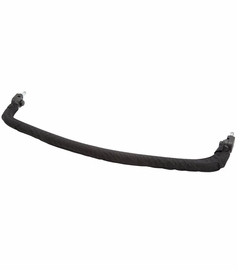 (The bracket inserts are different on the Double version.) Also, the "universal" parent console doesn't work on the Double because the handlebar is so long. 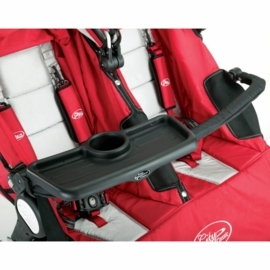 There should be a parent console made to fit the wider stroller, especially since the storage space underneath is limited and difficult to access. For the price, I was hoping for all the conveniences of the Single version. Okay, I have a confession to make. I have a slight obsession with strollers, and have purchased 9 different brands/models over the last 3 years so I have A LOT of experience with others! 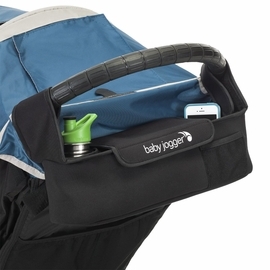 After having my baby jogger for the last year, I can honestly say that it has been the best of them all! I HAD side by side strollers that were too wide to fit through doors, and tandem strollers that were impossible to turn, BUT the City Mini Double has *easily* fit through every single door I have tried to go through, and the turning could not be easier! My 18 month(30 lbs) & 2.5 year old(40 lbs) also love this stroller, because they both fit in the stroller comfortably, with room to grow! 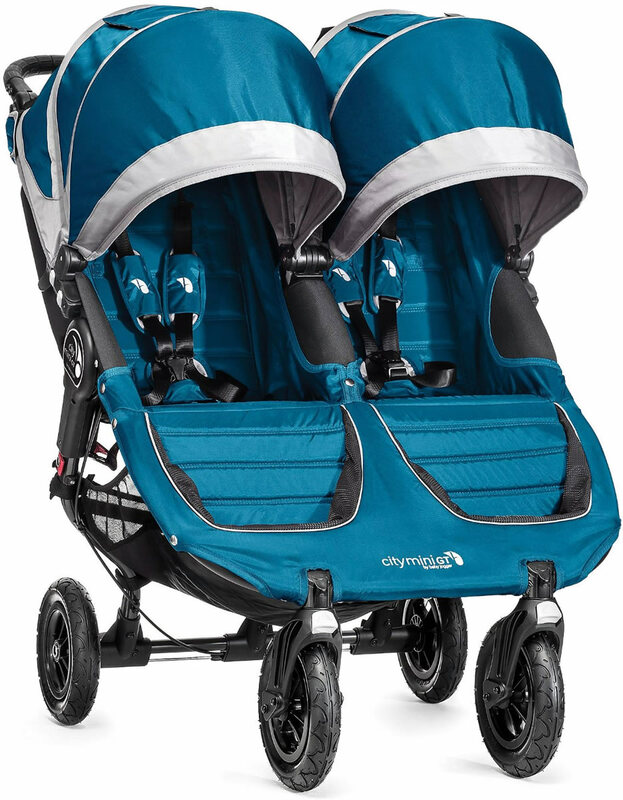 Other side by side strollers that I have tried do not have enough support in the middle which can cause the children to tilt/lean towards each other, which can lead to a lot of toddler frustration on hot summer days, but the baby jogger keeps my kids sitting straight and separated. Baby Jogger is the only brand of strollers I now will ever buy- and with baby number 3 coming soon, I have many more years to enjoy this quality brand! Next purchase will be the City Select double with the scooter board, and I cannot wait! 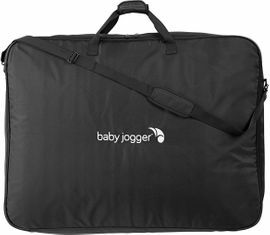 Thank you baby Jogger for making mom life easier! We love out double stroller. I go on walks push 66 lbs in this stroller and it's so simple to move. 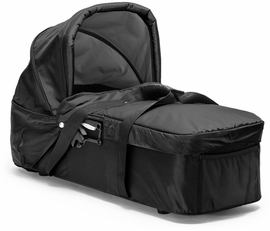 We purchased this stroller for our kids who are 18mos apart, I wanted something that folded very flat and wouldn't take up much room in the back of our vehicle, and would unfold quickly and be ready to load up the kids with minimal effort. This stroller fits that criteria perfectly. It's fabulous for days when you're running errands and are in and out of the car multiple times. The GT wheels provide an excellent ride over a variety of terrain, from woodchips to cobblestones our kids have been nothing but comfortable when we're out and about. I wish the basket was bigger and easier to access, I have to unsnap one of the sides and lower the basket to be able to stuff my diaper bag underneath, but otherwise this is an all-around fabulous stroller. I absolutely love this stroller!! It has been amazing! It fits through prettying any doorway, is easy to push even with just one hand, easy to clean, the push is great, and of course the fold is super easy!!! My soon to be 4 year who is the size of a 5-6 year old still fits great in this stroller. This stroller is a great buy and baby joggers customer service is amazing!!! I love everything about the City mini GT double! It's a smooth ride, extremely easy to maneuver & fits through a single doorway. The seats recline flat, which is great for naps on the go & the large canopies keep them well shaded. I have also purchachased the glider board so my oldest can ride on as well (great addition)! Fantastic purchase!! !